As the year draws to a close, I naturally start to reflect. 2015 has, without a doubt, been the most fantastic year of my life. And before I launch into the top 20 recipes of 2015, I want to take a moment to say thank you to each and every one of you. Without you, this blog wouldn’t exist. Without you visiting my website, without your amazing comments and emails, I wouldn’t know the importance of this little project that I started over six years ago. So, THANK YOU. You’ve made my life infinitely more rewarding than I ever thought possible. It’s amazing that even after doing this for six years, I can still learn so much. 2015 was definitely a year of learning. Over the summer I learned the challenges and benefits of cooking with no added sugars while participating in the Go Sugar Free Course. Later in the year when I completed my September Challenge, I learned that there can be many benefits to working with a very restricted grocery budget and that I actually enjoyed it. These two challenges shaped my cooking style a lot and many great recipes came out of them. It was really hard to pick my top 20 recipes, but I think I finally narrowed it down. 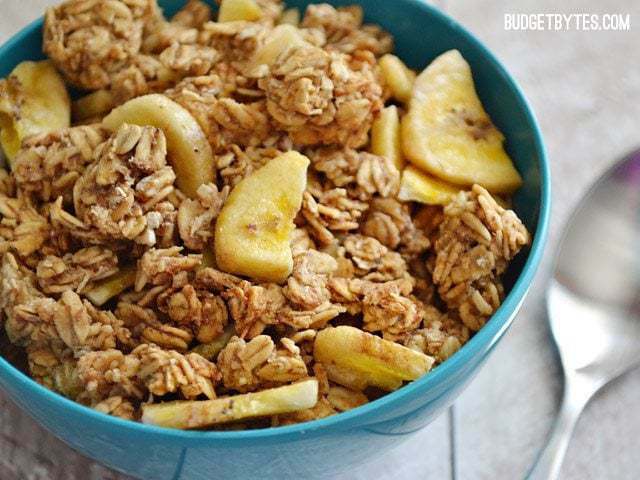 If there’s a recipe that you loved that didn’t make the list (from Budget Bytes or elsewhere), feel free to share it in the comments below! I love to see what all of you enjoy cooking and eating. 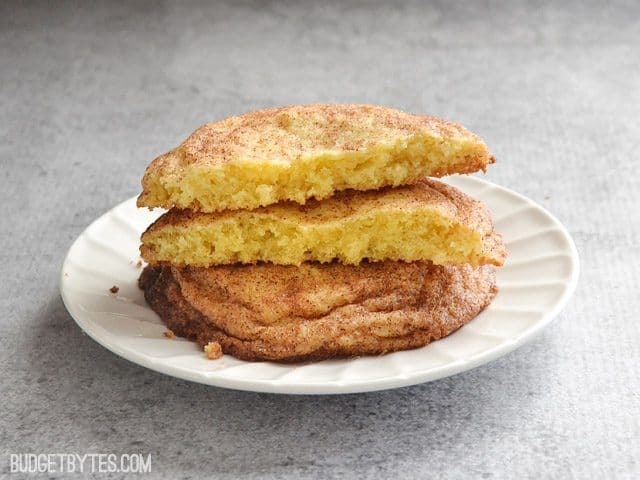 Snickerdoodles (for two) – Learning to make a “small batch” of cookies and other desserts was a huge breakthrough for me. I’m not really into sweets, so when I make them I don’t want an entire batch of cookies laying around after I get my fix. …because I’ll eat them whether I want them or not. Making two cookies at a time fixes this problem. Zuppa Toscana – Every food blogger on the planet has put their own spin on this recipe, and for good reason. This stuff is AWESOME. End of story. 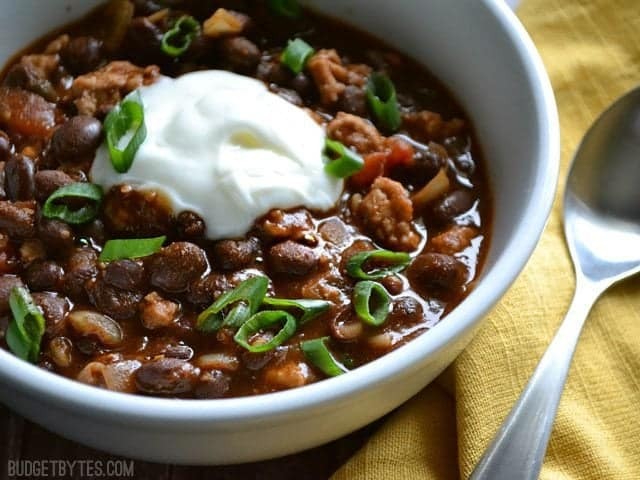 Weeknight Black Bean Chili – Chili, IMHO, is one of the most satisfying meals in both flavor and hunger squashing power. This super fast weeknight version comes together quickly, but doesn’t sacrifice any flavor. If you’re new to making chili, this is a great recipe to start with. 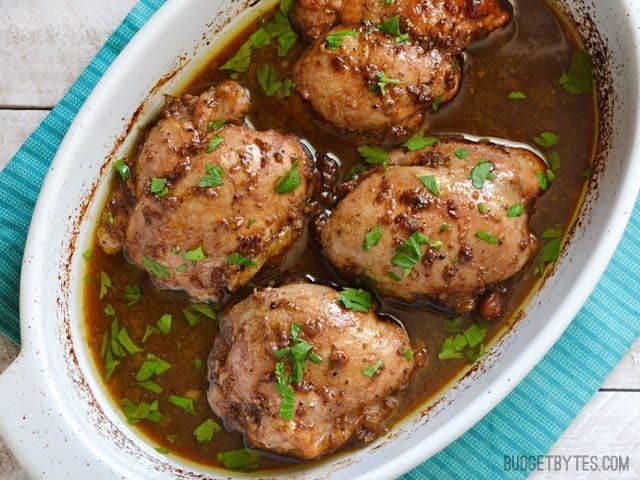 Balsamic Chicken Thighs – I wax poetic about my love for chicken thighs pretty often. They’re inexpensive, easy to cook, and are always juicy and tender. This oven baked balsamic version is one of the easiest and most flavorful chicken thigh recipes that I’ve ever made. If you haven’t tried this one, DO IT NOW. 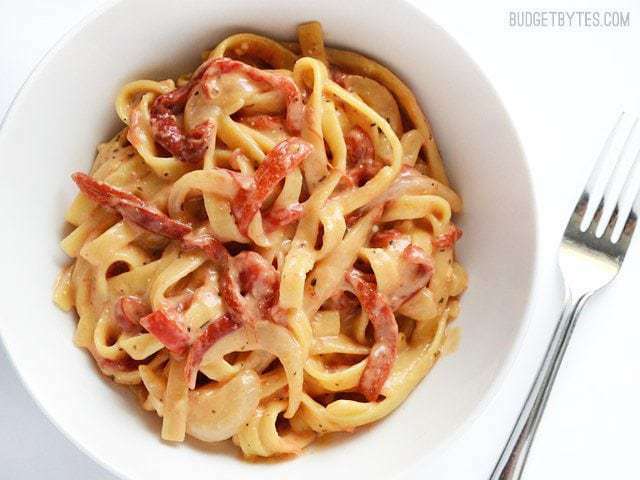 One Pot Roasted Red Pepper Pasta – This recipe has the ease of the “one pot” pasta method with the deep flavor of roasted red peppers and creaminess of cream cheese. What’s not to love? P.S. You can make it creamy or not creamy, if you’re looking for a lighter dish. Lemon Pepper Chicken with Orzo – I got really into lemon pepper seasoning this year. I love the combination of the tangy lemon and peppery kick. Sprinkling a little of that magic onto any meal really makes a big difference. This skillet meal uses lemon pepper for a flavor punch, plus a little salty feta for an incredible finish. 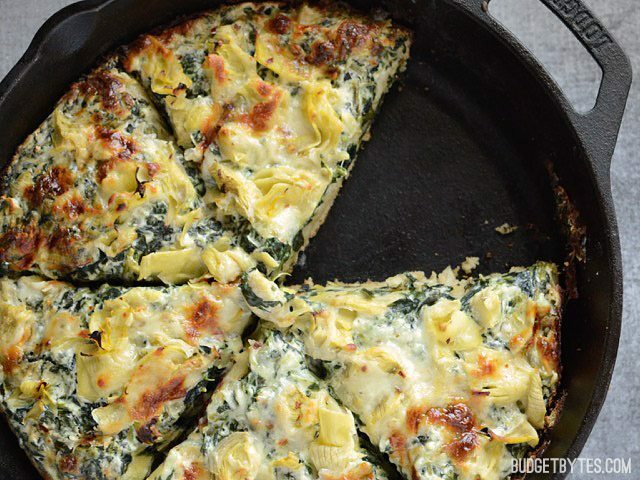 Creamy Spinach Artichoke Pizza – It’s two of my favorite foods, pizza and spinach artichoke dip, combined in one dish. I think this one goes without need for further explanation. 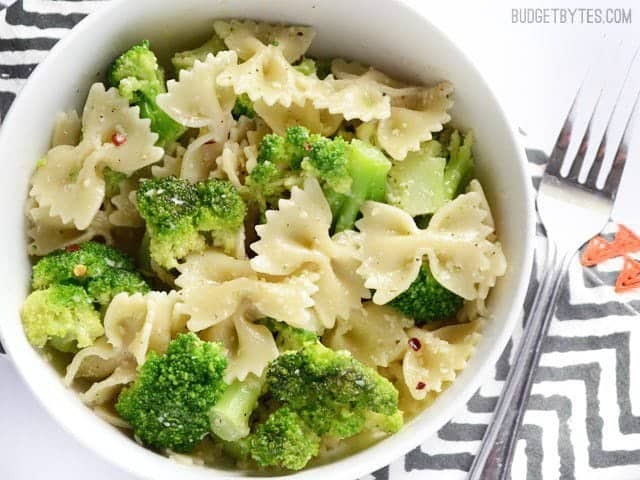 Bowties and Broccoli – Although you could barely even consider this a “recipe”, this continues to be one of my favorites, as well as one of the most visited blog posts on my site. Why? It’s the perfect busy weeknight meal. All the ingredients can be kept on hand almost indefinitely so you can whip it up on a moments notice. And it makes a great base template for any number of personal variations. 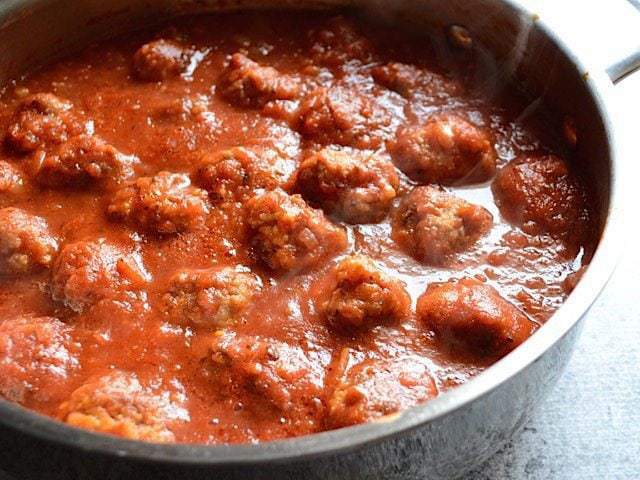 Skillet Meatballs and Marinara – Homemade meatballs may seem like a total luxury, but this method is insanely easy and requires very few ingredients. Talk about feeling spoiled without a lot of work! Sweet Potato Cornbread – This was yet another game changing recipe for me this year. I would seriously make a batch of this every week if I could. I love the flavor, color, and texture of this amazing cornbread. It goes with just about any chili or soup, and is awesome with eggs for breakfast. I LOVE it. Spaghetti with Vegetable and Meat Sauce – You might not be able to tell just from looking at it, but that meat sauce is PACKED with vegetables. Like 50/50 meat and vegetables. And that’s good news because I crave spaghetti and meat sauce a lot, but I know I need more vegetables in my life. This recipe is the perfect solution for me. 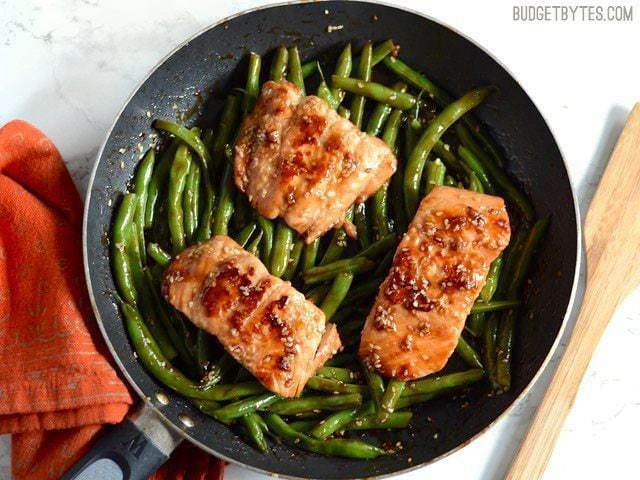 Sesame Glazed Salmon with Green Beans – I think this recipe wins the “Best Date Night” meal for the year. It’s really fast and simple, but it looks and tastes totally fancy. That’s just what you want when you need to impress. 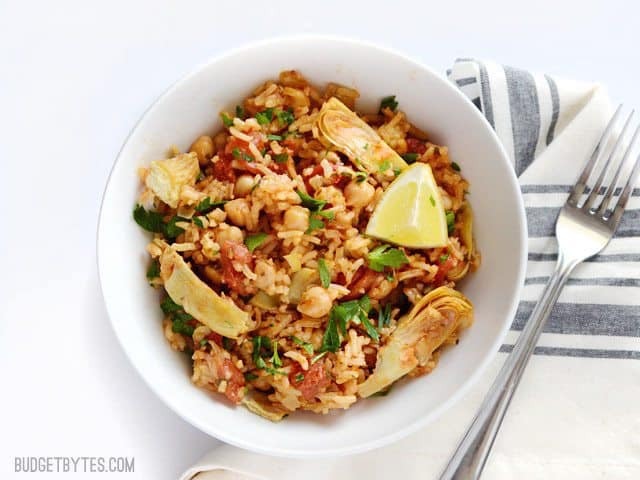 Spinach and Chickpea Rice Pilaf – Whether you’re eating this as a side dish or a vegetarian main, you’re getting a big bang for your buck. 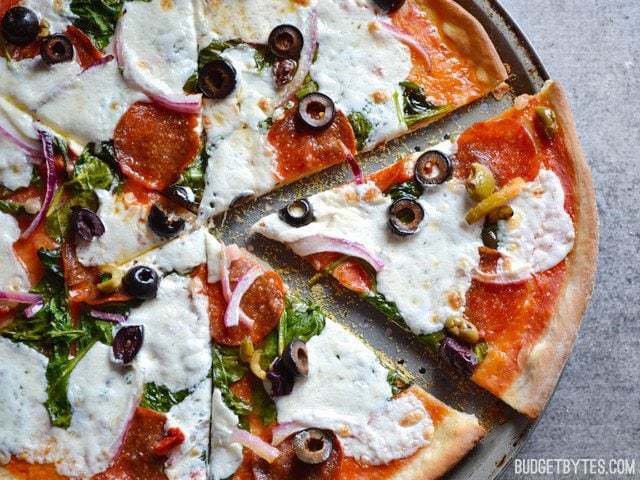 It’s filled with inexpensive ingredients, but still maintains a big flavor profile. Bonus: it cooks in one skillet to keep your life as simple as possible. 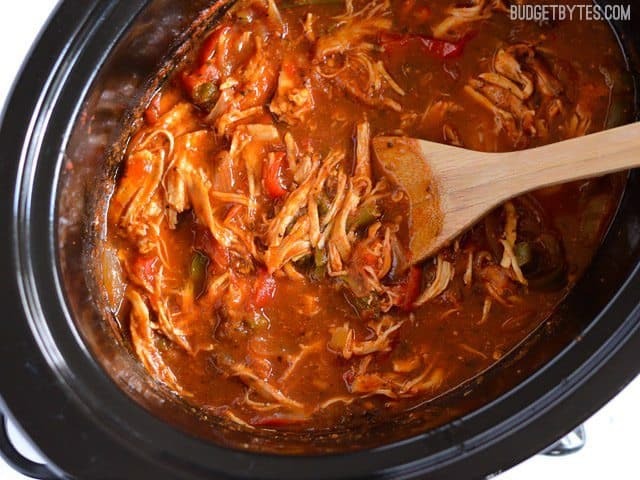 Slow Cooker Italian Chicken and Peppers – This recipe gets my vote for the “Easiest Meal” award. With just a few ingredients the slow cooker works its magic to make a flavorful sauce with both meat and vegetables. Spoon it over pasta, polenta, or rice for the easiest meal you’ve ever had. 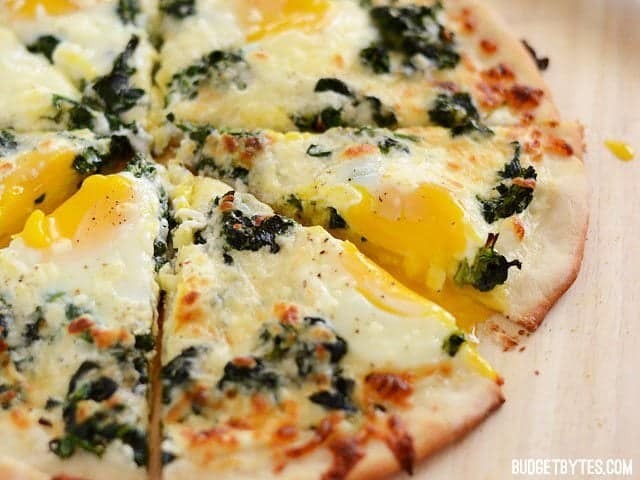 Eggs Florentine Breakfast Pizza – It’s no secret that I’m an egg fanatic, so when I put them on my other obsession (pizza), I’m pretty much in heaven. The creamy spinach florentine sauce brings everything together in a super indulgent “breakfast” dish that I’d happily eat any time of the day or night. Slow Cooker Chicken Tikka Masala – I just made this a couple weeks ago, but I’m still day dreaming about it. I might need to repeat it sooner than later. The easy tomato based sauce is flavored with a hefty dose of garam masala, which gives it a deep, aromatic flavor. A splash of cream helps mellow the tangy tomato and create a sauce that you pretty much just want to eat up with a spoon. 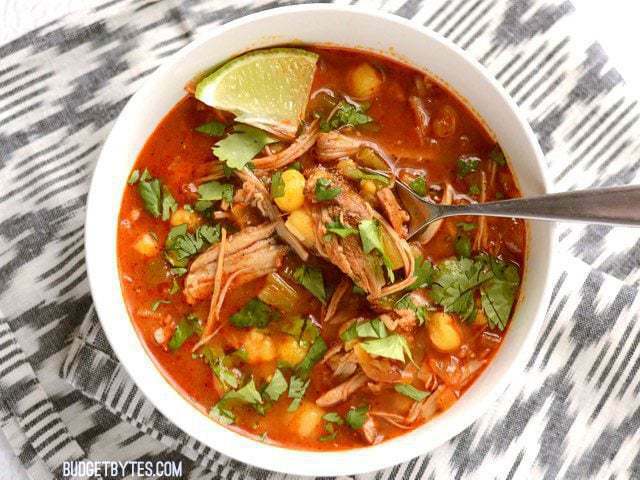 30 Minute Posole – This dish had been on my “to make” list literally for years. My only regret is that it took me so long to try it. This is going to be my FIRST choice any time I have leftover pork or chicken in the future. It’s just too easy and tooooo good. And there it is! 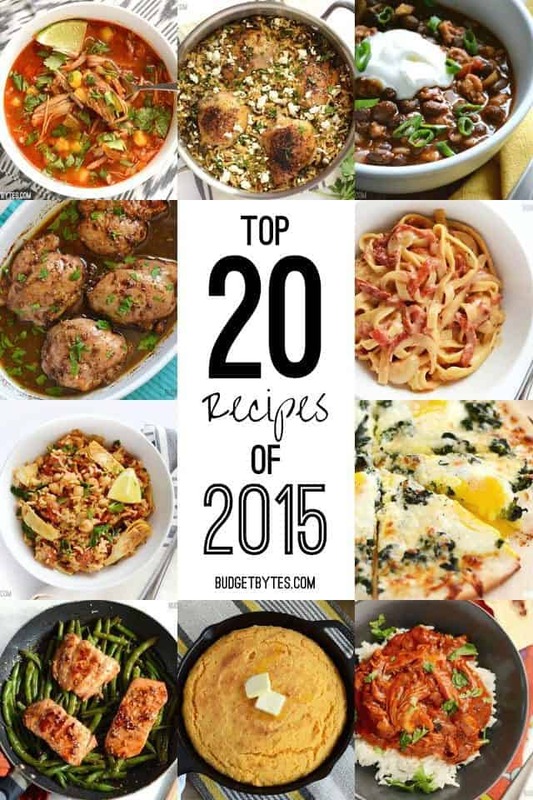 My top 20 recipes for 2015! If you want to make sure not to miss any recipes in 2016, follow me on Facebook, Pinterest, Instagram, or Twitter. 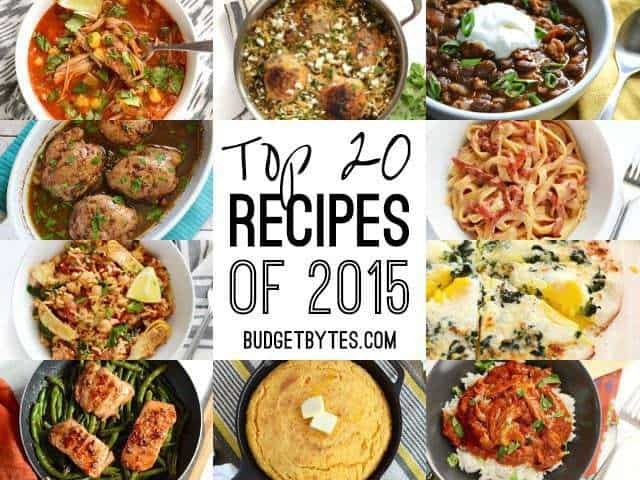 Tell me what recipes you and your family enjoyed the most in 2015! Thanks for a wonderful year! I made your Chicken Shawarma recipe three nights in a row. I’m obsessed! Last week I made your maple dijon chicken thighs, skillet meatballs & marinara, zuppa tuscana, and sweet potato cornbread. Every single dish was so friggin delicious. Thank you. I don’t know what year they are from my my favorite Budget Bytes recipes are Sriracha hummus & Dragon Noodles. (I have to cut the siracha in half for both of them though! :) ) I frequently have plain leftover noodles from meals for my kids, so using those make the dragon noodles an even faster meal to make! Still just as delicious as using freshly cooked noodles.